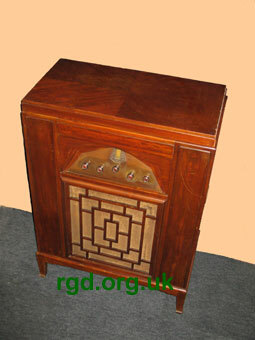 The earliest radiogram in the R.G.D. Museum collection. For D.C. mains only. Solid mahogany cabinet (except lid). 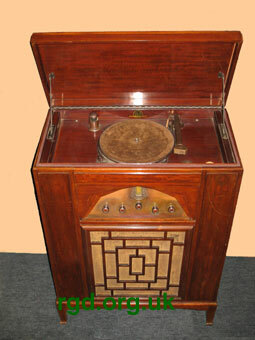 Garrard type x turntable.